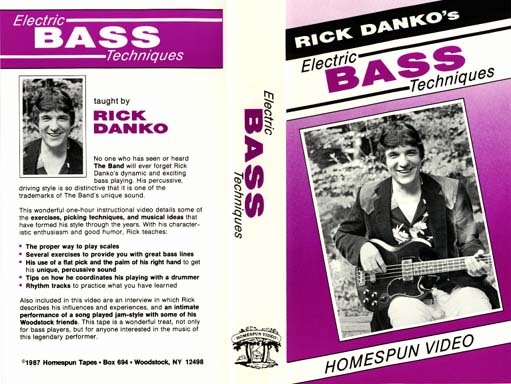 The Band's Rick Danko teaches some of the picking techniques and bass lines that have formed the basis of his powerful style. He demonstrates how he uses a flatpick to get his unique percussive sound, and gives you several helpful scales and exercises to strengthen your left hand. Rick discusses his influences and experiences, and jams with some Woodstock friends. A rare treat for anyone interested in the electric bass or in the music of this legendary performer.